Fashion and style are elements that transcend race, ethnicities, gender and socioeconomic status. Every major metropolis and fashion capital holds a fashion week were the designs of local talent are celebrated on the runways. Across the globe, both men and women from all walks of life come together to revel in their appreciation for fashion and style. Memphians aren’t a group to fall too far behind the curve, so of course we have our very own fashion week. Here in Memphis, a group of young influential women formed the Memphis Fashion Design Network. This group sponsors an annual celebration of all things fashion cultivated from right here in the MidSouth. Memphis Fashion Week is about week long array of events ranging from fabulous galas to runway shows of our local emerging talent. I had the pleasure of attending both nights of the runway shows. The opening night was a larger scale night of shows which included talents from across the nation as well as one or two designers from Mid-South. 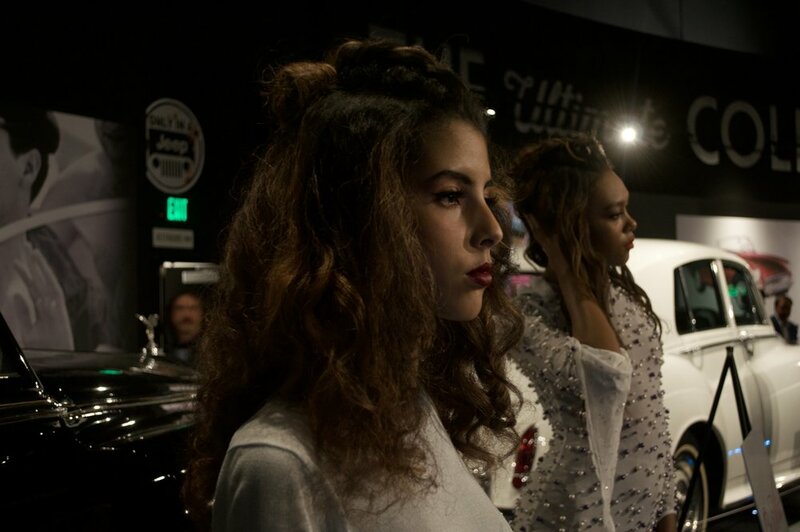 The setting was Elvis Presley’s Automotive Hall of Fame, so imagine beautiful models, long runways with vintage cars as the backdrop. The evening was quite breathtaking. Freeze models adorning pieces from local boutiques and stores greeted guest, and spirits and hor d'oeurves. The night’s designers showed their collections, and it was to everyone’s delight that Rachel Roy closed out the show. Not only is she a celebrity, she is a well respected designers hailing from NYC, and philanthropist. Her spring/summer collections include vibrant colors and eye catching florals. Everything was so on trend, with a touch of sophistication and Old Hollywood Glam. And to top the night off, I got to go backstage and grab a “very dark and blurry” photo with the beautiful honoree. 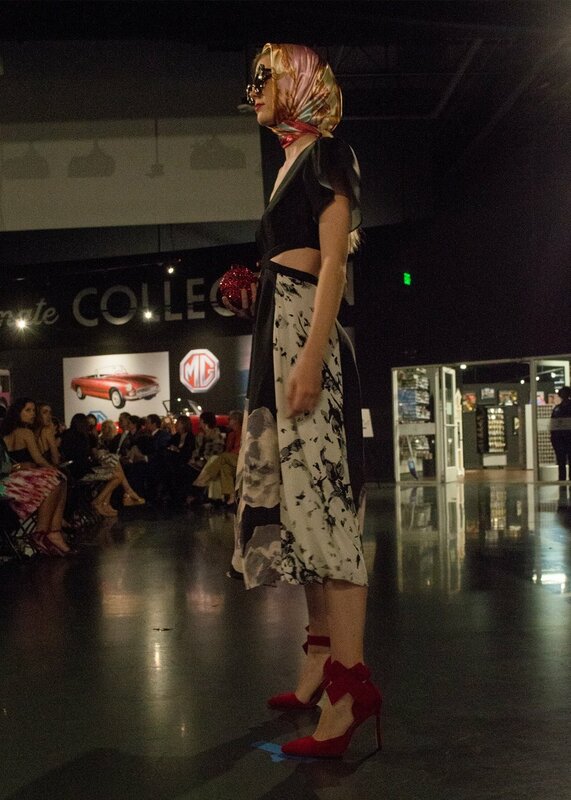 Night 2 of runway shows were held in vestibule of Memphis College of Art. The event was buzzing with fashionistas from around the city, and a ton of family and friends of designers, as this was “homegrown” night. As mentioned earlier, emerging talent from right here in Memphis presented their mini collections to a sold out crowd. Hey guys, I wanted to give you all a recap of the fashion happenings during Memphis Fashion Week. Due to prior work engagements, I was unable to attend most of the weekly events, but I did attend the Friday night runway show opener held at Crosstown Concourse. Sheila Jay was the opening designer of the evening. Her collection, Airplane Model, included a mix of beautiful Ankara prints, knits and dashes of denim. Below see a little footage I caught as the designer and her lovely models took a lovely final walk down the runway. Beg and Borrow Apparel is the fashion brand that was created by Mr. Monte Stewart'. He was the nicest, most inconspicuous guy ever. He was literally sitting on the last row directly behind us while the other designers showed their collections. His designs mostly consisted of luxe women's shirting and shirtdresses with the most unique and beautiful copper accessories. His collection was simply classic, and I had a great appreciation for what he brought to the shows. This is Sloane by the very talented Sloane Lenz was a crowd favorite. The young designer hailing from Austin, TX brought the unconventional, edge and avant-garde to Memphis Fashion Week. Watching her designs come down the runway was like looking at wearable pieces of art. I would absolutely love to get a few of her pieces in an editorial photo shoot. Nicole Miller as in the Nicole Miller closed out the evening of shows during Memphis Fashion Week and it was absolutely faboulous. I didn't score the opportunity to chat with her afterwards, but with a little research I was able to find out what inspired her bright, heavily print and abstract geometrically shaped collection. She showed the latest SS 2017 collection, and during an interview with Vogue.com she shared that she had been inspired while visiting an art gallery exhibiting a collection of vintage traditional molas worn by the Kuna women of Panama and Colombia. I also got a few pictures of the freeze models and a few party-goers. This event was nothing less than I had imagined. Such great times mingling with the fashion folks of Memphis. Words can not describe how perfect this venue was for the shows on Night two. Nothing better to accompany the frigid temps outside than a log cabin with fireplace located in the center of the Memphis Zoo at the Teton Trek. I wanted to glam up my look for the night, so I wore diamond accessories with a very bright red, bold lip (c/o MAC Rih Rih Woo). Dressing warmly was also a must with temps dipping low into the 30s, I wore my vintage fur coats, leather over the knee boots as well as my leather skirt.